Ford announced that it will pay to repair police versions of its Ford Explorer SUVs to correct possible carbon monoxide leaks that may be linked to crashes and injuries after U.S. regulators escalated an investigation into 1.33 million vehicles. 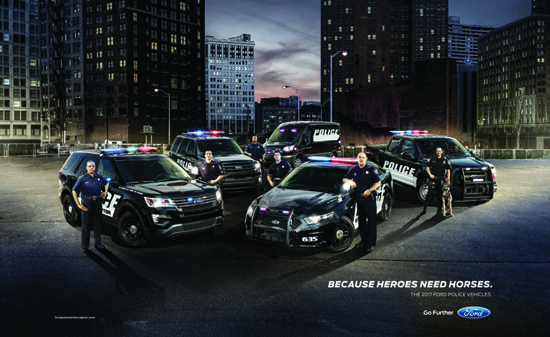 Ford said it will cover the costs of specific repairs in every Police Interceptor Explorer SUV that may be tied to after-market installation of police equipment. The company said the modifications may have left holes in the underbody of the vehicles. “If the holes are not properly sealed, it creates an opening where exhaust could enter the cabin,” Ford said in a statement. 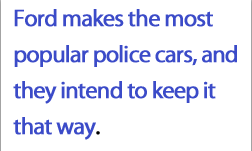 Ford acted after concerns were made by some police departments about the safety of officers. The city of Austin, Texas said Friday it was removing all 400 of the city’s Ford Explorer SUVs from use. The safety of officers and civilians prompted fast action by Ford. To read more about the problem and what Ford is doing to correct it, CLICK HERE.